It all started after I saw a Facebook post about a summer teaching program by a senior who completed the program. I love children and traveling, but I was not sure about teaching based on my past experience teaching my sister. Regardless, I still applied, hoping that my genuine interest would compensate for my lack of teaching expertise. I was a bundle of nerves during the interview, so receiving the letter of acceptance was a concoction of emotions – partially excitement, but mostly anxiety for what was to come. When I arrived in Poland, I met the other American volunteers who seemed highly capable of teaching English. My self-doubt started kicking in because English is not my first language. Throughout the course of my teaching, there were nights of worries and nights spent not knowing what to teach my students the next day. There were days when I had to overcome the blank stares from my youngest students as they could barely understand me without a translator. Sometimes, my lesson plans did not work and I had to create a new one on the spot. One day, I was teaching directions using action cards, but my students struggled to remember the words. Then, I switched it up and asked them to dance to a song and move according to the action words that I shouted out. The result: everyone started jumping and laughing and we even stayed past when class was supposed to end! Despite these moments of fun, teaching for 3 hours a day is still much more difficult than it sounds, and the daily uncertainty proved to be mentally exhausting. However, I quickly grew to love my daily teaching routine. I grew to love even the mischievous students as I learned how to turn their mischief into learning opportunities. 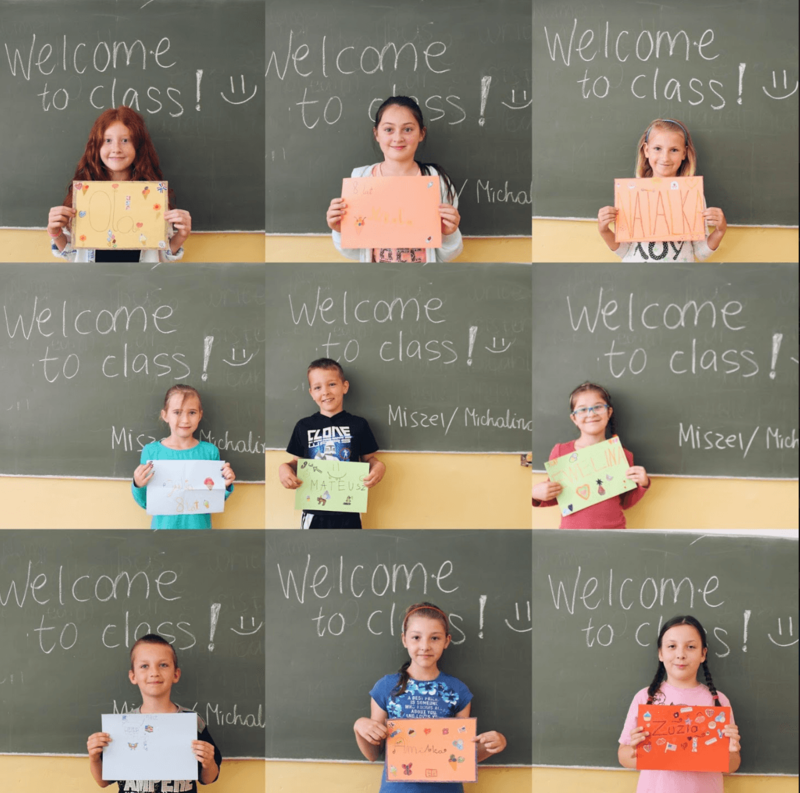 I grew to love the sense of accomplishment after finishing each class, which made me look forward to seeing my students’ smiles and laughter in class the next day. Moreover, how could I forget that one time when my youngest group of students gasped from the back of the class when I pulled out my stickers? Everyday was filled with joy and illuminated by their playful spirits. Over time, I learned how to manage challenges head-on and I found myself taking on each day with a more positive, can-do attitude. Most importantly, I realized the necessity of celebrating small milestones for both myself and my students. I patted myself on the back whenever I did something well and gave out candy and stickers as prizes to my students whenever they did something well, which kept us all motivated. While they learned English from me, I learned how to be a child again, in terms of creativity and freedom of expression. My fear turned into excitement, which gradually sparked my passion in teaching. Outside of the classroom, I got to interact with my host families (I was placed with 2 host families). Their hospitality was unbelievable, to the extent that it was unsettling at first! They went the extra mile to make sure that I always had what I needed. On my first day with my second host family, my host mom offered me a cup of coffee, to which I answered yes. Little did I know that she would serve me a cup of coffee every morning, although I wanted it only on that particular morning. My host families made me feel like I was a part of them. On my last day of teaching, my 7-year- old host sister told her mom that after the program, “she would just be staring at the computer” – her way of expressing her sense of loss after I was gone. The extent of warmth and affection that they displayed to a stranger like me still feels surreal even until now, and I long to go back. It is the same longing for home that I experience when I have been abroad for a long time. Instead of going back home to Indonesia to spend my summer with my family, I found two new families in Poland. I left my host community with a heavy heart. At the bus station, I was trying to fight back my tears, but I ended up bawling when all of my host siblings started to embrace me strongly. Their fondness of me touched my heart, and the painful truth that I might not see them in the near future started to really sink in. 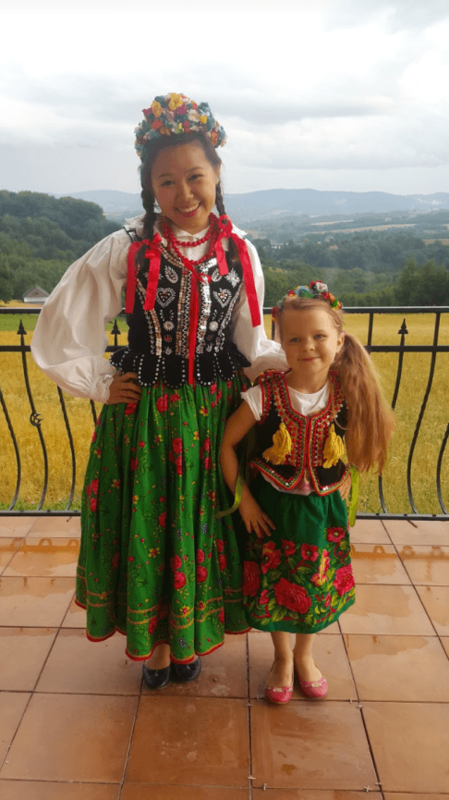 I kept a journal with me throughout this program to keep track of my days in Poland and upon reading through my entries, I realized that I have actually benefitted from this program as much as it has benefitted my host community. My impulsive decision to jump into the water was one of the best decisions I have ever made. On top of all of the fond memories made, I have learned to speak with confidence and to trust in myself. My self-doubt proved to be futile since I have proven to myself that I do not have to be a native English speaker to teach English like a native. It is all in the mind, they say, and I could not agree more. My summer in Poland was a journey of rediscovering myself, validating my values, and ultimately letting myself grow in a place like no other. Albeit it was short, it was meaningful and memorable. My heart tells me that I will go back, and I believe that I will. Perhaps not so soon, but someday, I definitely will. Zalasowa, you have a special place in my heart, and I will be counting down to the day when we will be reunited. I am Michelle Purnama, an international owl from Indonesia. I am a Sophomore, Management Information Systems (MIS) & Entrepreneurship double major. I have recently been elected as the Co-President of Women’s Entrepreneurial Organization at Temple, an organization that empowers aspiring female entrepreneurs. Regardless, we welcome women and men, Americans and non-Americans! This past summer, I volunteered with a non-profit organization called Learning Enterprises to teach English in Zalasowa, Poland, for 5 weeks. Other than teaching, I got to experience the Polish lifestyle, learn a little bit of Polish, and double my appetite through the delicacy of Polish food.